How to deal with Citroen C3 climate and radiator fan error? I want to share my experience troubleshoot climate and radiator fan issue with more people. I have 2004 C3 HDI, with smart fan 1253h3, has ABS with no esp and automatic climate. When I switch climate on or heat bar 3 dash warms and beeps 3 times and all the heat lights come on. I noticed that if engine warning light on everything is ok when engine warning light turn off on the dashboard fan not cuts in and the problem comes back. I changed engine heat sensor, thermostat, controlled all wiring (can bus wiring, fan power cables), changed relay. But nothing solved the problem. Then I went to C3 forum for help, and a member told me to use Lexia-3 to pull up any error codes before changing parts and it can help guide to the point of the problem. I bought a Lexia-3 scanner from a Chinese shop, hooked it up my C3 this morning and got a P0485 code. Below is a screenshot of Lexia-3 software (Diagbox) . On slow speed actuator it says faulty actuator. But sometimes fan cuts in. An interesting alternative description for P0485 is Cooling Fan Power/Ground Circuit Malfunction. It might be a fan or an ECU, I am not sure from a P code. But it is easier to try a new fan than try a new ECU. So I replaced the fan, and the clear the climate control problem is fixed. How to disable Mitsubishi TPMS light with Lexia3 V48 xs Evolution Diagnostic? 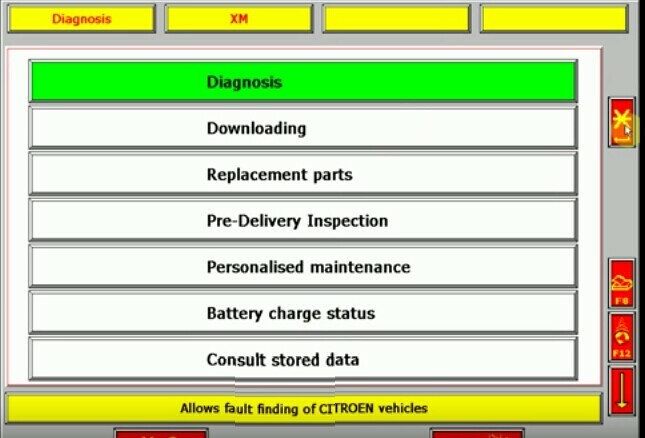 Lexia-3 lexia3 V48 Citroen/Peugeot Diagnostic PP2000 V25 with Diagbox V7.53 Problem Solved! 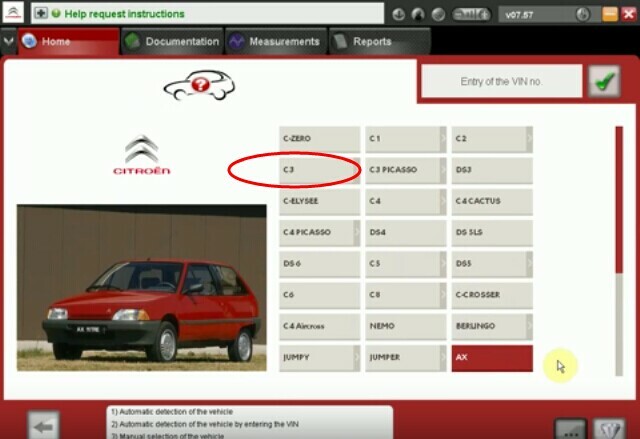 How to connect Lexia 3 V48 xs Evolution PP2000 to Citroen Cars? How to program Peugeot 307 key with Lexia 3? This entry was posted in Appareil De Diagnostic Professionnel, Lexia-3, Soutien technique and tagged citroen diagnostic tool, french obd tool, Lexia 3, peugeot diagnostic tool on September 14, 2015 by sales.